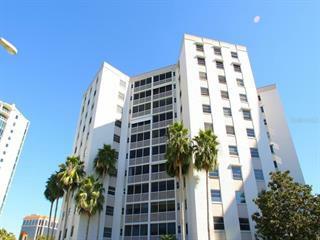 Ask a question about 300 S Pineapple Ave #802, or schedule a tour. Discover the serenity of luxury living high in the sky at the iconic Sansara. 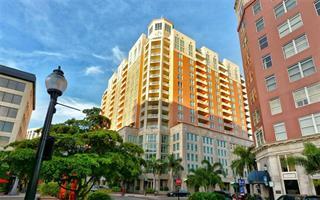 Sansara is an exclusive 10-story boutique development of 17 deluxe residences. 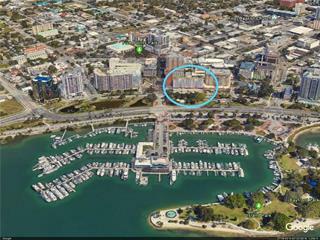 Located at the gateway to the historic Burns Court neighborhood, this iconic a... more.ddition to the Sarasota skyline blends zen-like aesthetics with luxurious urban appeal. 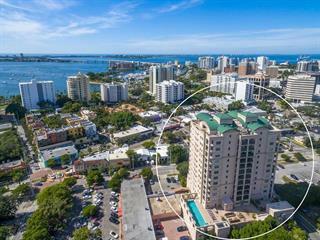 Perfectly attuned to downtown Sarasota, within walking distance of the farmer’s market, restaurants, theaters, organic markets, night life and more. Residence #802 features soaring 10’ ceilings and a retractable window wall that creates a harmony of indoor and outdoor living, bountiful upgrades from Italian style cabinetry with an oversized Sub-Zero featuring a wine tower, Bosch gas range, wood flooring throughout, a private interior spa, custom power blinds and so many more. 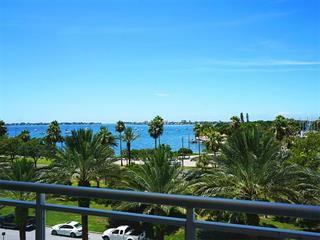 This 3 bedroom 3 bath residence also features roughly 400 square feet of terraces from multiple rooms creating a truly inspired city retreat, offering panoramic views of Sarasota bay, the marina and skyline. 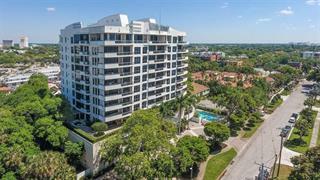 Head down to the amenities level that consists of a relaxing pool, private spa, pool-side cabanas with day beds, fire pit, outdoor kitchen with bar and a private gym with yoga room. An escape for body, mind and soul, these amenities balance the flow of energy by utilizing natural elements such as rich woods, bamboo, water features, stone and a thoughtful selection of native plant species. 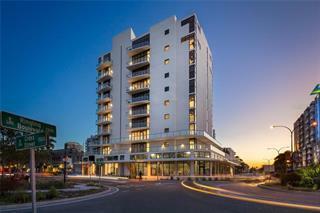 Make this home your new downtown Sarasota urban oasis!